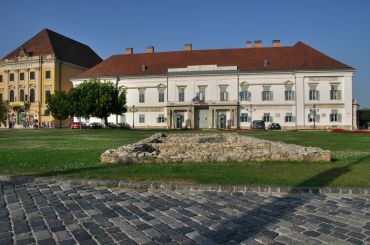 The Sándor Palace is part of the Buda Castle complex. It was built at the end of the 19th century by the architect named Mihály Pollack. 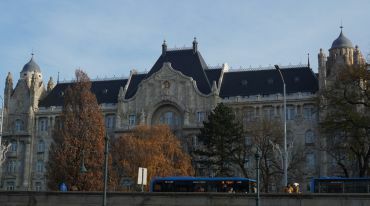 For a long time, the palace was owned by Count Vincent Sándor. Leaders of Hungary resided here later, 16 prime ministers lived and worked here from 1919 till 1941 as well. When prime minister Pál Teleki passed away the palace fell into disrepair and was nearly destroyed. 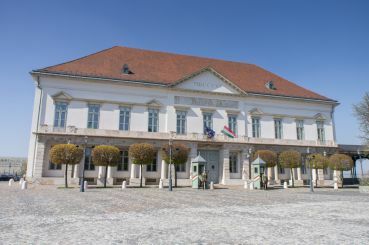 However in 1989–2000 it was restored, and since 2003 the Sándor Palace has been the official residence of the President of Hungary. It is remarkable because of, above all, its creative design. Its bas-reliefs have figures of Greek gods and scenes of Count’s knight initiation ritual as well as a plaque of Pál Teleki on them. Inside interior stands out for its fanciness. Crystal chandeliers, carved furniture, magnificent ancient tapestries, painting of famous artists – all these things are decorating the palace and delighting all tourists. You can only access this place once a year during the Cultural Heritage Days when the doors of President’s residence are open for everyone. The Sándor Palace is located within the territory of the Buda Castle complex and opens once a year at the beginning of the fall during the Cultural Heritage Days in Hungary. You can get to the palace by bus №16.